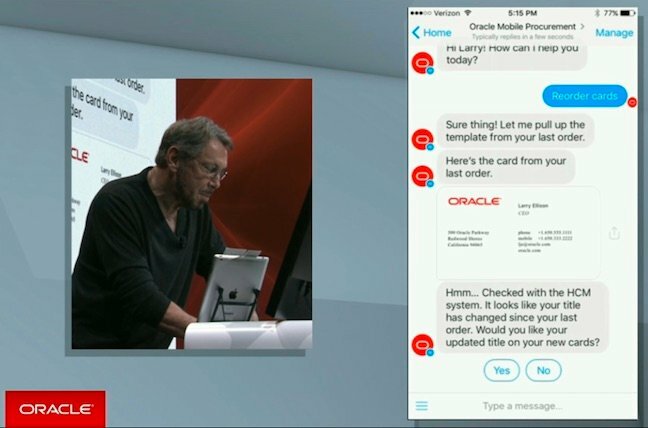 Larry Ellison kicked off Oracle's OpenWorld event in San Francisco on Sunday with news of a second-generation infrastructure-as-a-service offering. The IT giant's supremo claimed the IaaS out-performs Amazon Web Services (AWS), undercuts it on price and will also be sold as on-premises kit tied to a subscription. Ellison told the assembled faithful that Oracle plans a global network of data centres built in highly-redundant clusters that are highly resistant to outages. The former CEO said the Big Red cloud will, at least in one instance type, offer more cores, RAM, storage and IOPs than Amazon Web Services at a 20 per cent discount. Ellison then declared Amazon's lead in the public cloud has ended. Hey Bezos, my cloud is bigger than your cloud! Nyah nyah! In another announcement, Ellison said the very same hardware and software Oracle uses in its own cloud will be offered for on-premises use under subscription models. Those bundles, which he did not describe in detail, are promised to be “identical” and "101 per cent compatible” with Oracle's cloud. The motivation for this offering is that Ellison believes it will take many years before a majority of workloads run in public cloud. In the interim, which he expects to last a decade, he shares the belief of rivals VMware and Microsoft that businesses will want public and private clouds that behave identically and when on-premises run on pre-configured hardware. Ellison singled out AWS as Oracle's biggest cloud competitor and Workday as its foe in applications, ERP and software-as-a-service (SaaS). Salesforce.com earned a few mentions as Oracle's main contender in CRM, but Ellison was very critical of Workday's ambition to build apps and a platform from scratch. Oracle's deep asset pool, he argued, means it can get on with things that matter to users while Workday is busy re-inventing plumbing. Oracle plans SaaSy suites to compete with Workday on application functionality, with its cloud scale story also hoped to fend off its rising rival. The acquisition of cloud access security broker Palerra to improve Oracle's multi-cloud security offering. The keynote was also slightly awkward at times. Ellison was peeved by mis-timed slide changes and then, during a demo of a new chatbot development tool, complained about his current role as CTO and Chair. As the image below (here on mobile devices) shows, that demo saw Ellison order new business cards only to be told his title had changed. He said he only needed to order 500 cards as he hardly gets to meet people any more, complained about his salary and said the Board had made its decisions and he would abide by them. Watching online, as The Register did, it was hard to know if Ellison was joking, teasing or venting. Or maybe all three. Clearly the Oracle Board isn't entirely disenchanted with the company's founder: he gets another keynote later in the week and Ellison promised it would be all about the new 12C database.